Learning to 'unzip the fat suit': Obese woman so heavy she needed both knees replaced loses over 12st through hypnosis. 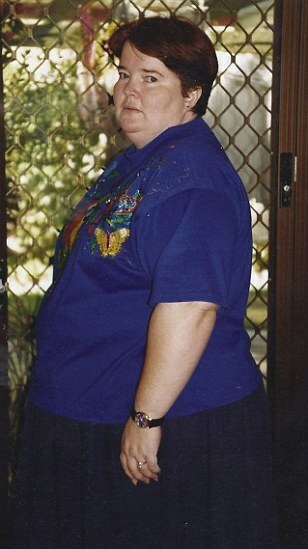 A woman who was so overweight she had to have both knees replaced has lost over half her body weight through hypnosis. Trish Walker, 56,was 24st 7lbs at her heaviest but has managed to drop to 12st 3lbs after conquering her fast food cravings. Following a double knee replacement that was needed as a direct result of her obesity Trish was preparing to have a gastric band fitted when her psychiatrist recommended a hypnotherapy course. In the end the course proved so successful that Trish was able to conquer her addiction to food and lose weight without the dangerous surgery. Trish, says: ‘Now I am the kind of person who enjoys moving my body'. 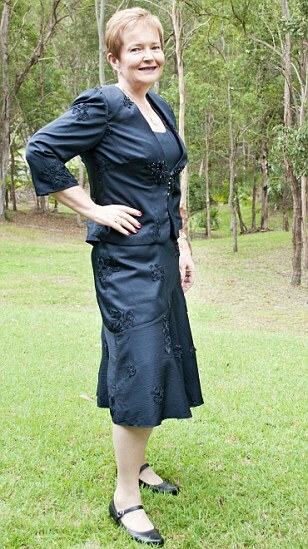 A yo-yo dieter since her teens, Trish, had gained and lost up to 8st at a time over the years. She would often eat whole cakes in secret, or entire packs of biscuits and tubs of ice-cream alone in her car, sometimes eating until she was physically sick. Her knees had become so destroyed by her size that the bones were rubbing together and she was barely able to walk. Trish had contemplated a gastric band but her sister-in-law had died years before from complications when having one fitted, leaving Trish terrified of undergoing the procedure. Despite her fears, her increasing disability and desperation at her inability to lose weight prompted Trish to start seeing a psychiatrist to discuss getting a gastric band fitted. The psychiatrist recommended Trish also started seeing a hypnotherapist, who had had success with food addicts. 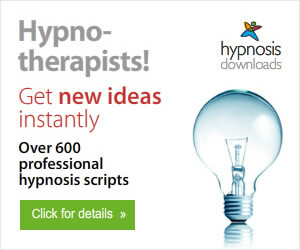 The hypnotherapist worked with Trish to retrain her thought patterns around food and beat her cravings. Trish says: 'I was amazed how well it worked. In the first session I could remember thinking that there was no way I wouldn’t have my cake that weekend. But after the session I went to the local café where I’d always go, and I looked at the cake display, and I found I just didn’t want one. 'It's never just about the weight though, there's always differing levels of self doubt, self blame, self anger and old emotional issues that cause us to eat our emotions. ‘We rewired her thinking and emotional patterns so that she learned how to deal with challenges in healthy ways. Now she eats only to provide nutrition for her body. She loves who she has become and so do her family. She has actually learned to like herself for the first time in her life. The strategies taught her to think like a slim and healthy person. Trish now weighs a healthy 12st 3lbs she has lost about 170Ibs, half her original body weight. ‘It’s amazing. I feel the healthiest, and even the most beautiful that I’ve ever been,’ she says. 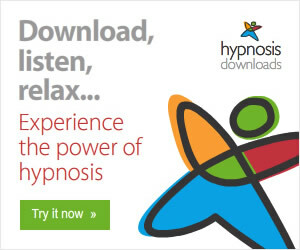 Antonia Harrison http://www.englishskypehypnotist.com/gastric-band-hypnosis/ Sessions are carried out worldwide on Skype Hypnosis.